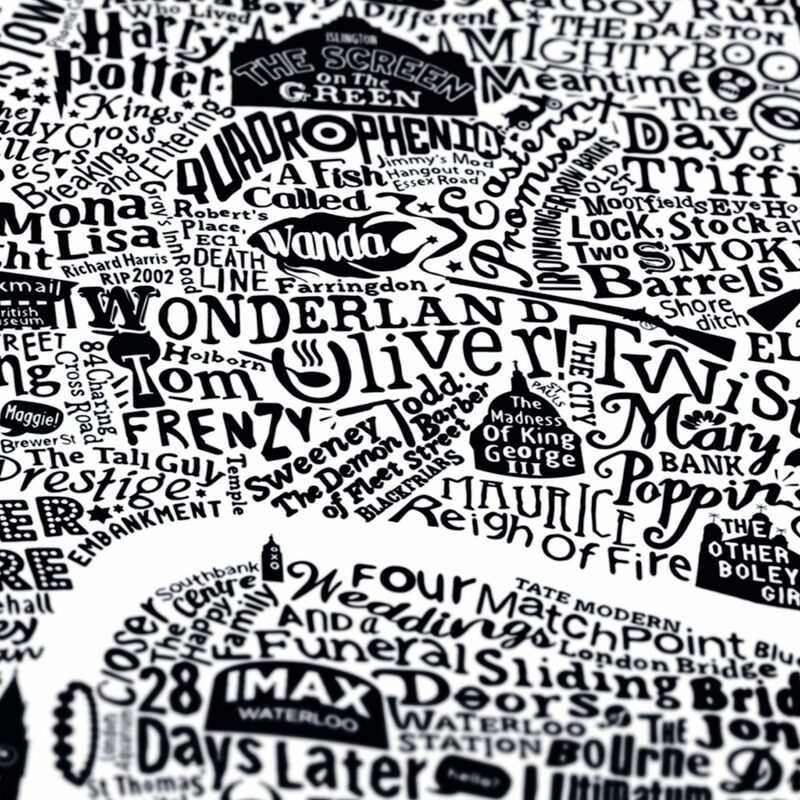 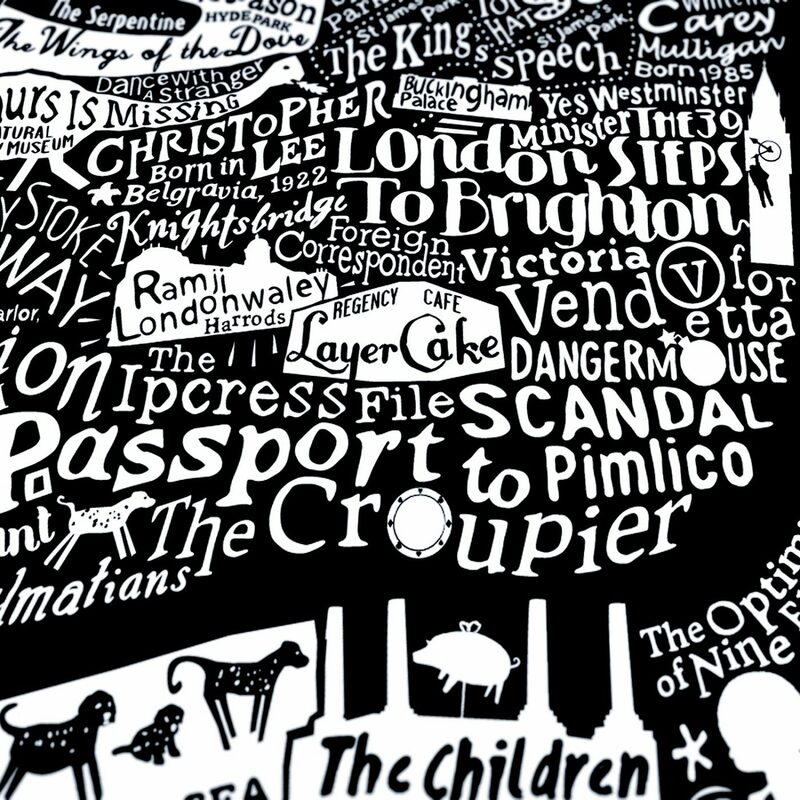 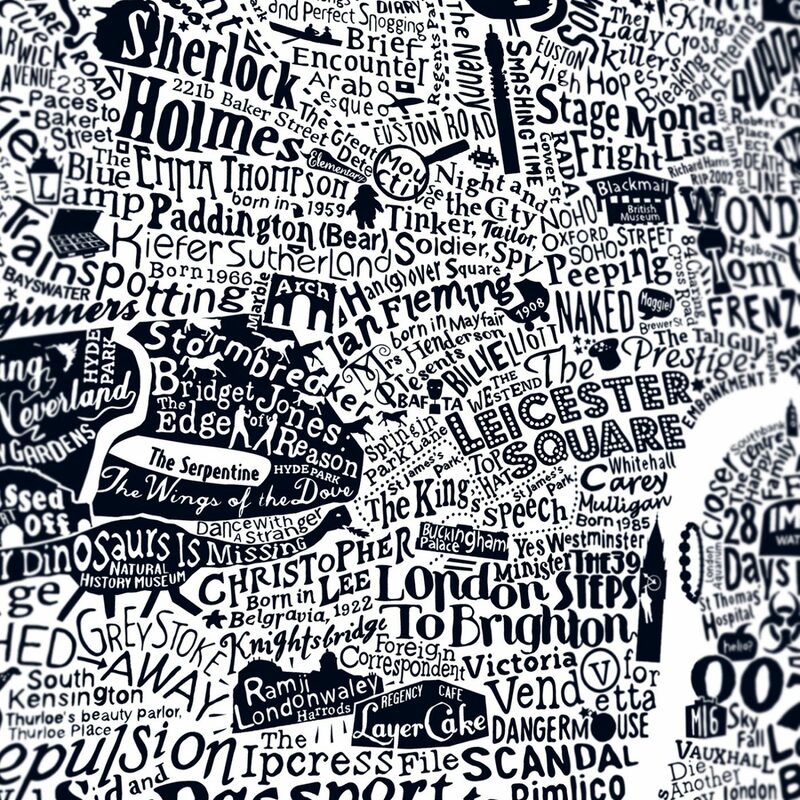 An intricate hand-crafted typographic map of London swarming with film titles, actors and directors, plotted on the map where they most made their mark. 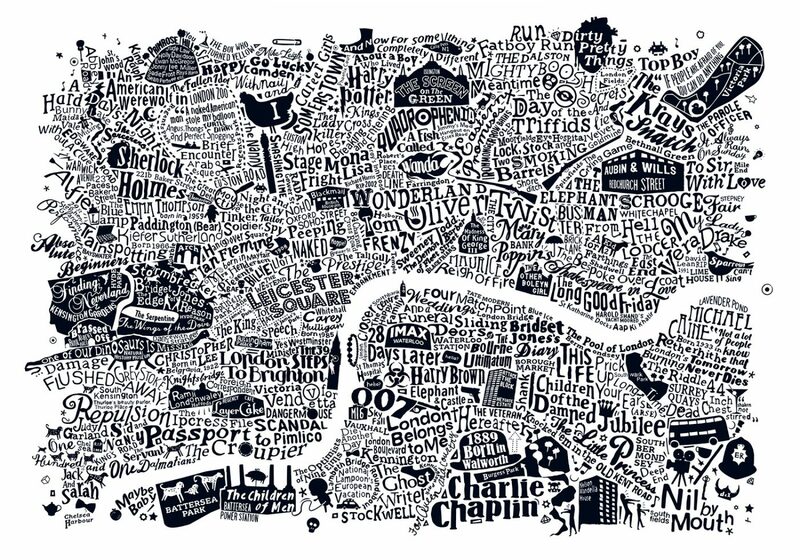 Also featuring some of London’s most iconic picture houses, film studios and red carpet locations. 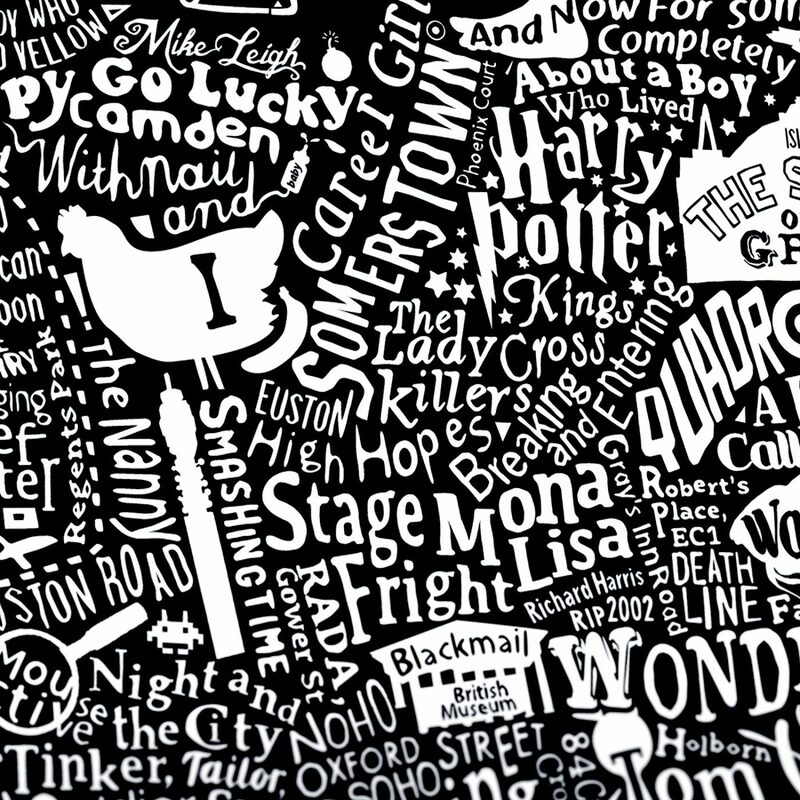 Combining hand-drawn typography and illustration, the Central London Film Map is a limited edition print by the London-based graphic artist Dex, celebrating the capital’s credentials as one of the world’s most iconic cinematic cities. 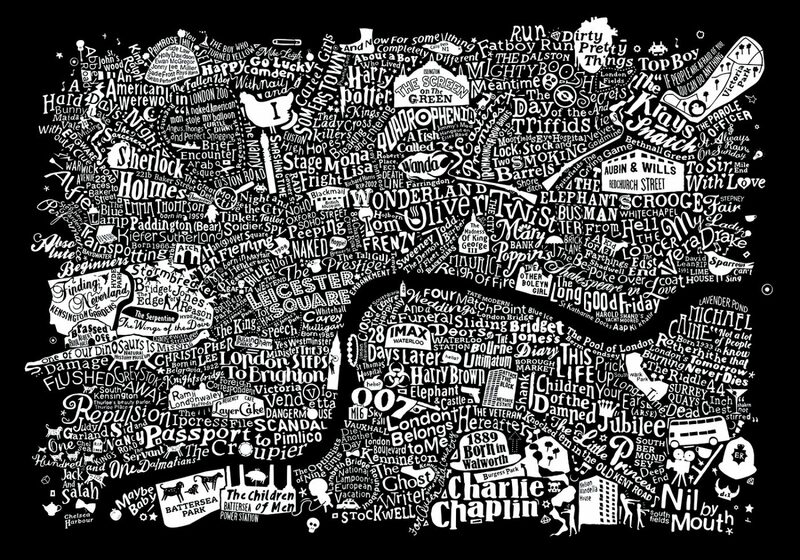 This is a more compact version of the more extensive London Film Map, made up of hand-crafted fictional characters plotted on the map in the place they’re most associated. 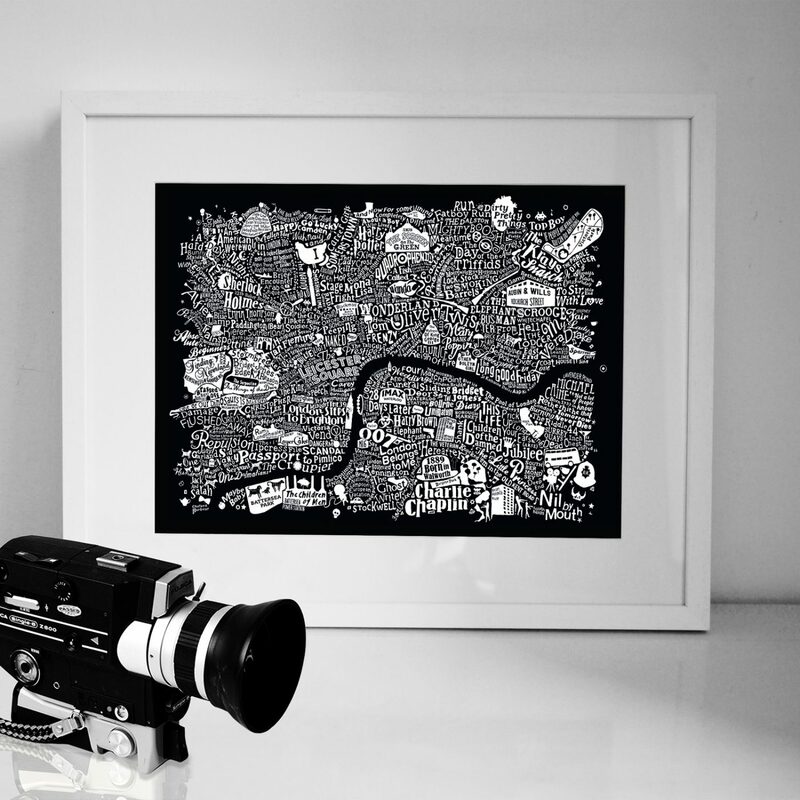 A stylish limited edition graphic print in deep velvet black on stark white archival paper.